If you want to add film grain or mimik certain types of film looks (Super 8mm, Silent Film, film flashes, lens flares) then the Cinegrain package of film footage may be right up your alley. It’s not a plug-in – but actual scanned film. Since it’s not a plug-in it’s very easy on the CPU. 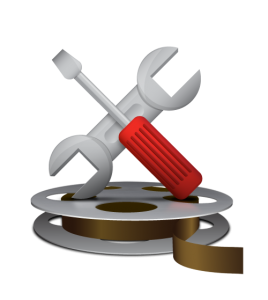 But – it is a little heavy on your wallet… which is why I dig in so deep and show several different ways of customizing the footage for your projects. A Plug-In In Your Pocket? Yup. These are ProRes movies on a hard drive… a small hard drive that fits in your pocket. And in the Tutorial section of this review I’ll be showing you how you can use this footage (in Final Cut 10 and DaVinci Resolve) to gain as much flexibility with this footage as most plug-ins… and with much quicker render times. That’s why I call CineGrain, ‘A Plug-in In Your Pocket’; you can carry around with you, use it when you need and enjoy all the advantages of most film grain Plug-ins without the usual worrying if the plug-in is installed. Just hook up the drive, import your clips, and you’re good to go. I’ve recorded an extensive Video Review and Tutorial on Cinegrain. I’ll show you what they’re selling and then take you through how to use it in Final Cut 10 (using Overlay Modes and manipulating the Color Board to customize the ‘Look’ of the grain)… and then I’ll do the same thing in DaVinci Resolve (using the footage both with Composite Modes and as an External Key). At the end of the video I’ll let you know if I think this product is a good buy for the money. Since this is a rather long Review / Tutorial, I’ve included a Chapter List (scroll down) in case you want to skip ahead to a specific section of this video. If you enjoy this tutorial be sure to Sign Up for my free weekly color grading email newsletter, The Tao Colorist. I feature these types of tutorials plus tons of other color grading, industry and career news from all over the ‘Net. I curate the ‘best of the best’ and deliver it to your ‘virtual doorstep’ in time for your Sunday Morning Coffee. The product I’m reviewing was sent to me – at no cost – by Cinegrain for the purposes of this review. Other than my original request for review I’ve had so subsequent contact with them and received no other renumeration or special considerations for creating this review. All opinions and mistakes are mine and mine alone. Update: At 5:17 I state that the Dirt-Fixed 35mm footage is only available in the Professional package. This is incorrect. Many Dirt-Fixed clips are available in several of their packages. Update 2: I’ve updated the video, watermarking the CineGrain footage. I expect to do a more graceful job of it in the future – but for now, understand that the big ol’ cinegrain.com text and gray box behind it does NOT appear on the footage when you buy it! Start: Cinegrain: What Is It? 7:14 Download the Footage I'm using and follow along! 38:04 How much is Cinegrain? DaVinci Resolve 8.1.1 Lite – NOT! Around here on the Tao, it goes without saying that BlackMagic DaVinci Resolve ‘dot’ updates are usually much bigger than they sound. Today DaVinci Resolve has been incrementally updated from 8.1 to 8.1.1. For most companies, this is the kind of update you might consider skipping. And at first blush I thought the same about Resolve 8.1.1. Three new features are released but none seem critical. One is significant price drop. The second is something you might have seen coming. The third new feature? It’s a biggie but not ground-breaking. Or is it? I’m about to argue that for a large part of the post-production industry – from hobbyists to indie filmmakers to those delivering for Broadcast – the third new feature is very VERY significant. BlackMagic isn’t content with disrupting the Color Grading industry with a $999 ‘Hollywood Quality’ color grading package. They are now intent on disrupting themselves. Starting with DaVinci Resolve 8.1.1, DNxHD is now included with every install of DaVinci Resolve and DaVinci Resolve Lite. Yesterday – if you wanted Resolve to play DNxHD files or render out to DNxHD – you had to buy a $500 add-on that enabled this feature. If you talked to the BlackMagic team about this ‘Avid tax’, they said they were passing on the cost of the licensing – but only to those people who wanted DNxHD rather than imposing that $500 ‘tax’ on all the other people who didn’t need it. No longer. DNxHD is now a part of every install of DaVinci Resolve – paid and free. 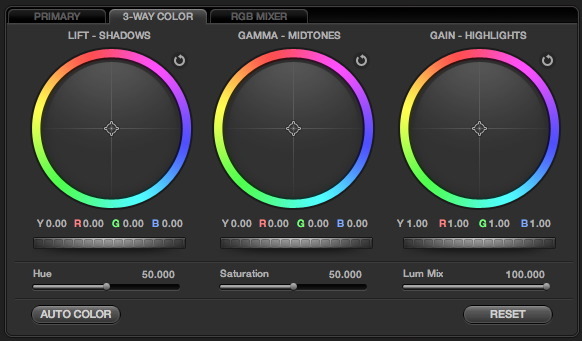 DaVinci Resolve Lite has added by subtracting – the two color correction node limit has been lifted. DaVinci Resolve Lite now supports unlimited nodes. If you’re not familiar with Resolve, they’ve just lifted a major restriction. Previously, the two nodes limitation prevented Lite users from adding three powerful ‘specialty’ nodes. One of the things these Specialty Nodes share in common: They require a minimum of 3 nodes in the node tree. Do you see that Node labelled ‘Parallel’? 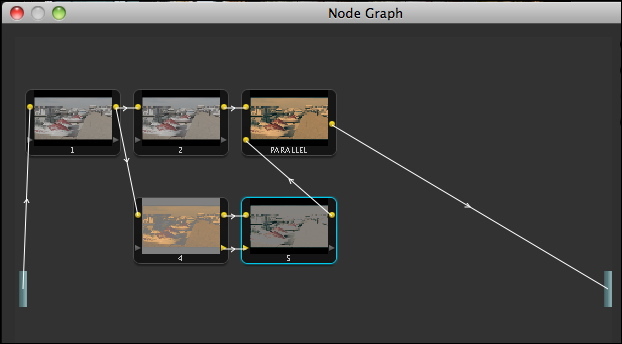 In Resolve Lite 8.1 this specialty node (and two others like it) were off-limits. And the above 5-node color grading tree would have been impossible. Resolve Lite 8.1.1 now not only makes possible this node tree – it now ships with Resolve and Resolve Lite as a pre-built Look. For existing Resolve user let me repeat: Not only is there no restriction on the number of nodes that Lite users can use, all the Specialty Nodes are enabled – resulting in a color-grading software package that is virtually identical to the paid version of the software. For a large number of post-production professional there’s almost no reason to rush out and buy the fully paid version of DaVinci Resolve. 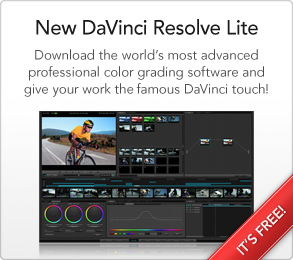 Here’s my case why the free version of DaVinci Resolve should not be called ‘Lite’. What Are DaVinci Resolve Lite’s Remaining Limitations? Render to SD – and HD- Only – Resolve Lite limits the frame size of your renders to 1080p or smaller. You can grade 2K and 4K material. You just can’t have either a project size at or render out to 2K or 4K. Nor is image processing hobbled in any way, so feel free to do a Premium De-Bayer for your RED HD deliverable. But if you want Cinema sized renders – this limitation means you need to buy the full version. Single GPU Card – Lite is still limited to using a single GPU card. If you’re going to buy an expansion chassis to run 2 or 3 instances of a graphics card (for more Real-Time functionality) – you need to buy the full version. Single Red Rocket Card – Same limitation as above. For RED stereoscopic projects where you’d want two Red Rocket cards – you need to buy the full version. No Noise Reduction – Resolve Lite won’t enable this CUDA-only feature – even if you have a CUDA card. No Multi-Resolve Features – Lite doesn’t support grading from a remote location or sharing a database on a server between multiple Resolves. Looking at that list of limitations it strikes me that Resolve Lite isn’t Lite at all. SD- and HD- Only– SD jobs have pretty much disappeared for me. It’s 100% HD… even for jobs that shoot at 2K or 4K! Right off the bat that tells you something about me – I don’t do Hollywood features. For the rest of you who are in my boat, HDCamSR at 1080p is about as ‘big’ a frame size we need… even if the client shot RED at 4K – which, as I said, Resolve Lite fully supports as a source. Here’s the kicker: If you DO need 2K / 4K deliverables you can grade at 1080p on DaVinci Resolve Lite, take that project to your local post house and have them render out the 4K deliverables – since DaVinci Resolve Lite projects and DaVinci Resolve Paid projects are fully interchangeable. Single GPU Card – Multiple GPUs are essential for 2K and larger frame sizes. Especially if you need real-time playout at those frame sizes. But 1080p is well within the processing power of a single GPU. And if you’re working with RED material, grading with Proxies to overcome GPU deficiencies and maintain the frame rate is a well-worn workflow. Single RED Rocket Card – See above. Even among RED users, I’d bet only a small percentage are running two Rockets. Noise Reduction – At first blush you’d think this would be a necessary feature that you’d be willing to upgrade to the paid version. Except… most HD jobs have a much bigger problem than excessive noise – they need to eliminate macroblocking artifacts from compressed codecs. Noise Reduction doesn’t solve that problem at all (in fact, it often exaggerates macro-blocking). It turns out that those mostly likely to benefit from Resolve’s Noise Reduction are those who are working at 2k frames sizes with multiple GPUs running dual RED Rockets for Stereo workflows! Do I need to take this any further? Are you’re starting to feel a tingle running up your leg? 😉 Do you see what I’m saying? There is nothing Lite about DaVinci Resolve Lite 8.1.1. It has the full color grading power of the paid version and it’s limitations are remarkably targeted and consistent as being important to a very specific subset of post-production professionals. In fact (get ready for my completely self-serving plug) – if you were to download DaVinci Resolve Lite tonight and then sign up for the Tao of Color MasterClass training… there isn’t a single thing I’m doing in the training with paid version of DaVinci Resolve that you won’t be able to do with the DaVinci Resolve Free! And I’ve already recorded 15 hours of training on the Paid version having no idea this Free version was just around the corner. Here it is. A nearly feature parity version of DaVinci Resolve that’s costs NOTHING to get started for HD projects. What are you waiting for? Start grading!